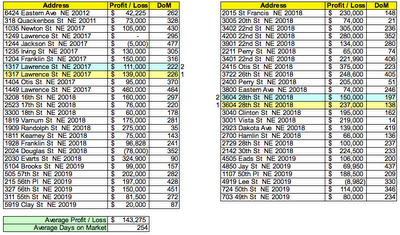 Of the 96 detached homes flipped in DC between January 2005 and July 2006, 51 sales were in NE DC. The average unadjusted profit was $143,275 and the average days on market was 254. 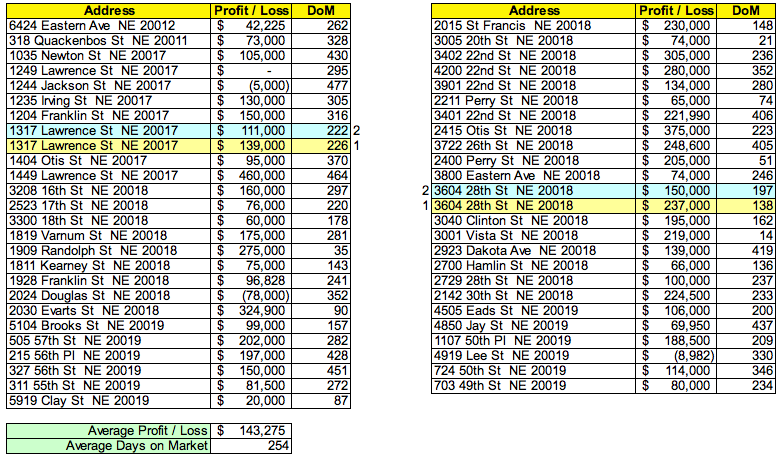 Two houses were flipped twice each; the first sale is highlighted in yellow, the subsequent sale in tourquoise. Four sales were clearly losses for the seller.